The Philips AVENT Medium Flow Teat is a soft silicone teat with 3 holes, suitable for babies aged approximately 3 months and up. Philips AVENT teats make it easier to feed your baby, whether entirely by bottle or a combination of breast and bottle. The naturally shaped silicone teat allows your baby to control milk flow as it would when breastfeeding. This allows your baby to suckle almost as at the breast. 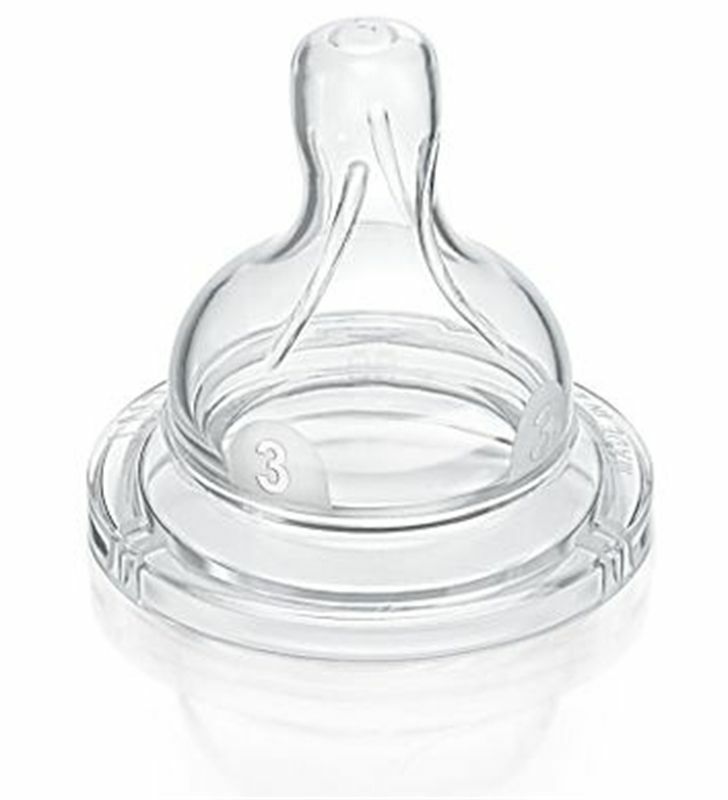 As your baby feeds, the unique skirt on the AVENT teat flexes to allow air into the bottle, rather than baby’s tummy, preventing colic. The gentle whistling sound and watch the air bubbles burst on the surface of the milk. That's your guarantee that the air is being released into the bottle--not into your baby's tummy.